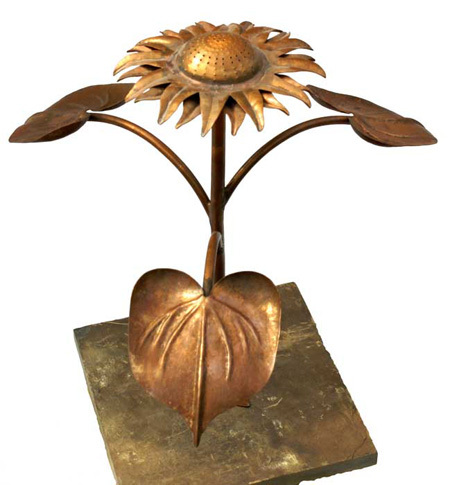 All of our copper fountains are handmade, with great care and attention to detail. As with all of our copper fountains, the copper will quickly take on a dark patina, which can further develop tinges of verdi-gris green to the edges. This process continues over many decades and continually improves the appearance of the piece.